No one wants to deal with a dead battery. Here are some warning signs that your truck batteries are nearing the end of their life cycle. Even the best truck battery may only last about four to five years with proper maintenance. When it is time to replace your battery, here are a few tips when choosing the best truck battery for your needs. Truck batteries come in all shapes and sizes. If you buy one that’s too small, it can move around in the battery tray, and the battery hold-down will be loose. Buying one that’s too large will sit on the edge of the tray, which can rub a hole in your battery. If the battery is too tall, it could come into contact with your hood or another piece of metal and lead to an explosion. 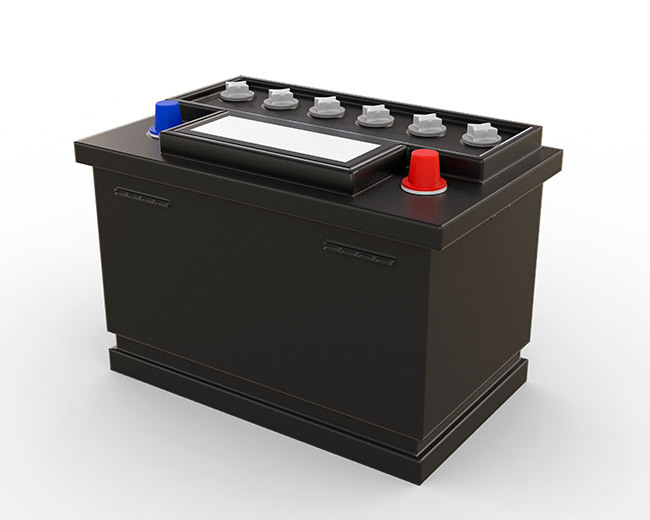 Each manufacturer determines battery requirements based on a truck’s power needs, such as installed accessories, starter demand, charging system, and engine size. The manufacturer’s rating is the minimum battery rating that you should consider. If you buy a replacement with a lower rating than your truck requires, you may be stranded. Buying a battery with a higher rating won’t hurt, but there’s no real advantage to a large increase. There should dimensions and post location numbers on your truck batteries. If you see these numbers on your original battery, write it down so we find a suitable replacement. However, we have a complete reference guide if you can’t find the number. Truck batteries come in three types. These are the oldest battery type. They have removable caps that allow you to check the electrolyte level in each cell and replenish it with distilled water. Although these batteries are antiquated, they still remain popular because they provide more amp capacity per pound and per dollar than other lead-acid battery types. However, a downside to these batteries is that they must be checked and serviced regularly. You must clean their tops and posts as necessary to prevent a buildup of dirt and grime. Flooded, maintenance-free batteries also have flooded cells with vented caps, but the caps are not removable. These batteries provide a lifetime of normal use without needing additional water. The third type is the absorbed glass mat, or AGM battery. An AGM battery won’t leak even if its case is punctured because there is no free liquid in the cells. Other than an occasional post and top cleaning, these batteries don’t require any maintenance. An AGM battery delivers power and can be recharged very quickly. On the downside, AGMs cost a bit more and are a bit heavier than flooded batteries with similar capacity. Although cost is important, a cheap battery might not be your best long-term option. Choosing the best truck battery is easier when you become familiar with your options. The staff at ASC can provide all you with all the necessary information in order to choose the right battery for your needs.